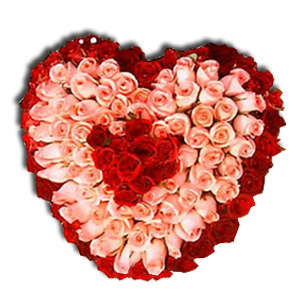 Send an exclusive arrangement of 50 Red and Pink Roses in a Heart Shaped Basket to your dear ones in all cities in India through GiftsAcrossIndia.com. Your loved ones will definitely be charmed to receive this flower arrangement. So send this flower arrangement with other Gifts across India to your loved ones on any special occasion or festival.